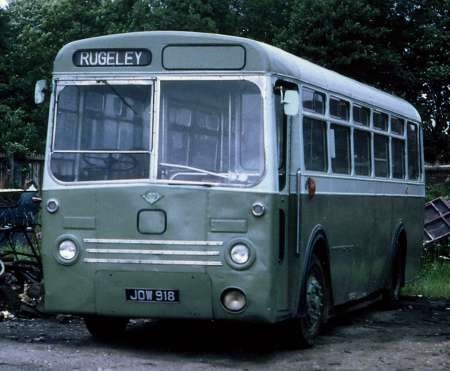 Back in the days of half-cabs, most coaches were distinguishable from single-deck buses by their window line. 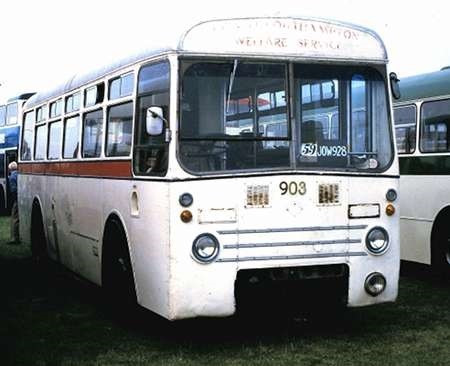 On buses this was straight and level, but on coaches it usually formed a gentle curve from the focal point of bonnet and cab down towards the rear. Later, when the engine of heavyweight coaches disappeared under the floor, there was no longer such a strong focal point, and at first the coach building industry was undecided as to whether to continue in the old tradition or to produce something as straight and symmetrical as the new chassis. Duple hedged its bets and did both, offering a choice between the curvy Ambassador and the straight-laced Roadmaster. 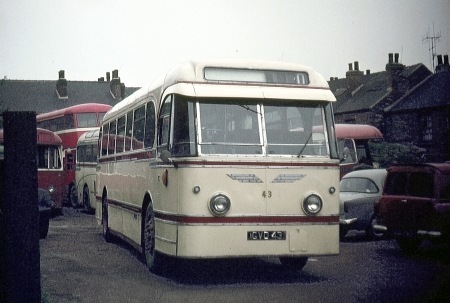 Nicknamed the Iron Duke by those who built it, the Roadmaster was famously much more successful as a Dinky Toy model than it was in the real world, but it did have one big fan in the Red & White group, which purchased 21 spacious 37-seaters on Guy Arab UF chassis as well as a lone Leyland Royal Tiger. 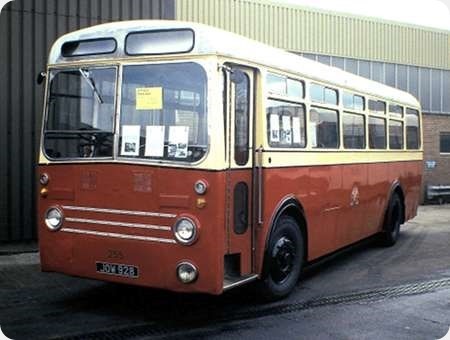 After withdrawal, some of the Arab UFs were sold to Highland Omnibuses, an avid Guy user, for bus work, where they formed an unusually sumptuous form of local transport! 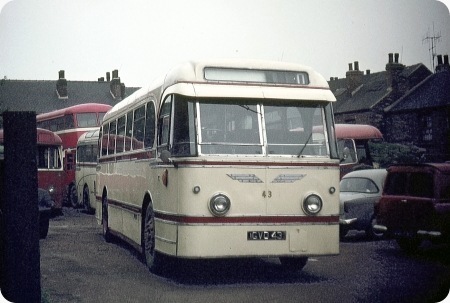 This one was photographed in Inverness Bus Station in June 1968. To view a shot of the Ambassador body style click here. I find it surprising that some of the really obscure "real" vehicles seem to have been incredibly popular when converted to toy or model form. 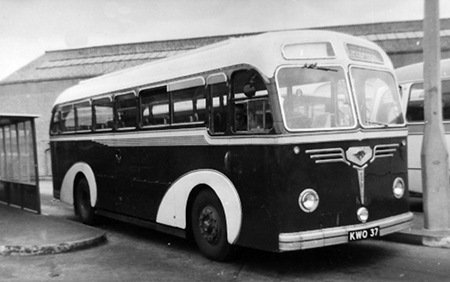 The Roadmaster is a classis example, along with the Dinky Commer/Harrington in BOAC livery. I suppose it must have depended on the original operators’ preferences, but these Roadmasters look considerably different from those which Standerwick had, and on which the Dinky seems to be based. KWO 37 is a Duple WORLDMASTER not a Roadmaster. Ex Red and White. Similarities with the ‘Roadmaster’ are obvious.